Lucknow: The Bahujan Samaj Party (BSP) president Mayawati’s attack on the Congress on the issue of petrol price hike has left her own party cadres confused. Party workers cannot understand the provocation behind the attack on the Congress at a time when talks of an opposition alliance are gaining ground in the country. Echoing similar sentiments, a senior SP MLA said, “We have to accept the fact that we are a regional party and the main contest is going to be between alliances led by BJP and Congress. If our leaders feel that SP and BSP together can rout BJP from UP, they are mistaken. People, today, understand the difference between state and national elections and they know that SP and BSP on their own cannot stop the BJP. The statement agai-nst the Congress was totally uncalled for.” The SP’s unease with the Congress is apparently a result of its 2017 Assembly election experience when the SP and Congress, both suffered humiliating defeat. The SP feels giving over 100 seats to the Congress was a mistake as its core voters, especially the Yadavs and other backward castes, did not vote for the Congress. 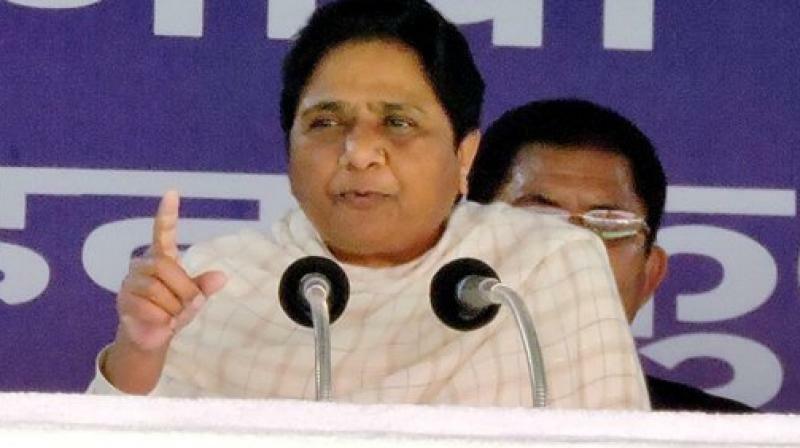 Moreover, both, SP and BSP want to play the Dalit-Muslim Backward card and getting the Congress on board could prove to be a mistake since the Congress is eyeing upper caste votes.